I’ve been waiting to get this quilt back to Charlotte before posting anything about it, but I decided to go ahead and share this now. I’ve been gone this last week to Machine Quilting Exposition, where I took classes from some amazing quilt teachers, so I am slow to get back in gear and into my regular routine. 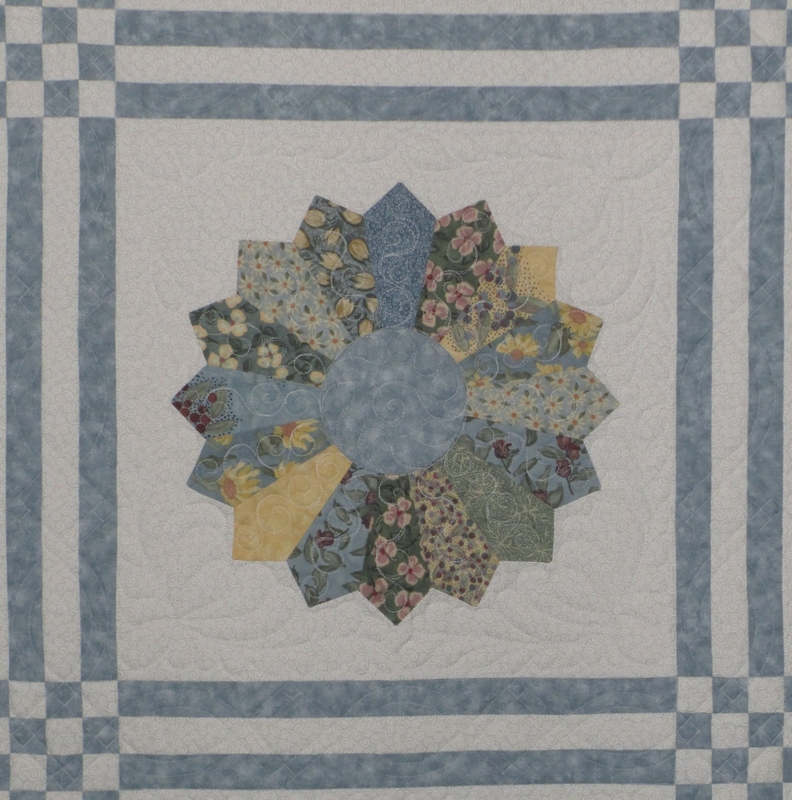 Charlotte has this beautiful quilt with Dresden Plates and wanted traditional quilting all over. Here’s a close-up so you can get a better look at the fabric. I think it’s very pretty. 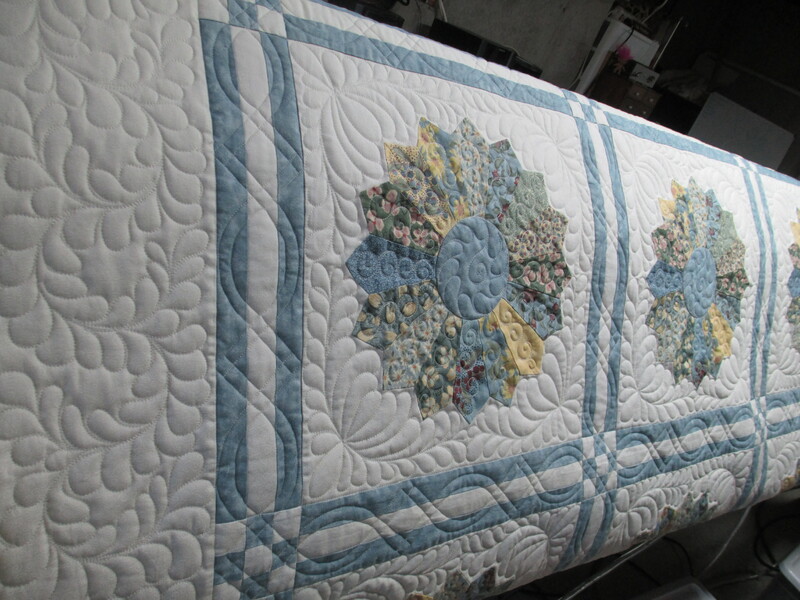 I took plenty of shots of the quilting, but, truly, the best shots are of the quilt laying across my machine’s frame, with the natural sunlight coming in. So, here are 2 of those. Charlotte wanted feathers in the outside border and as filler around the Dresden Plates (in the white areas in the background and border), so those were fun to do. I filled the petals of the Dresden Plate with swirls and the inside circles with feathers and a swirl. I think the formal cable and square design in the sashing borders works perfectly with the checkerboard corners and striped sashing. 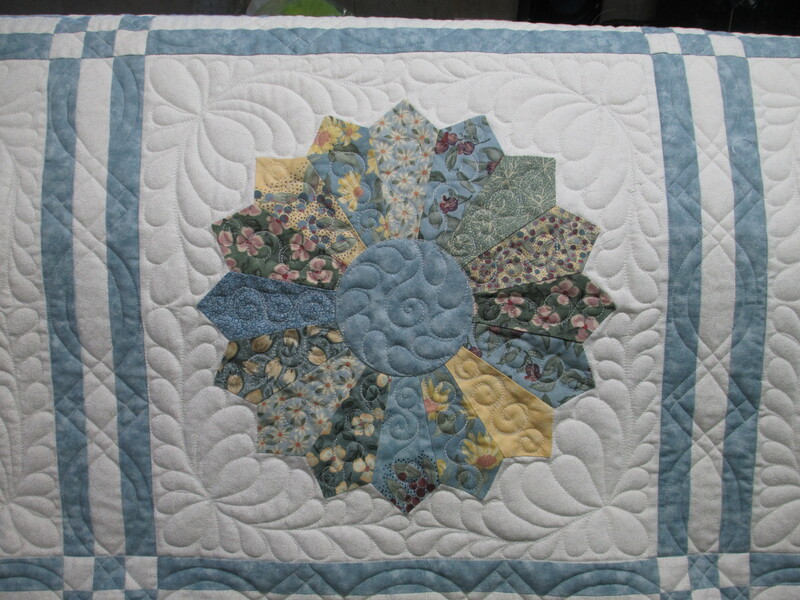 I found it funny how the feathers and swirls were quick to finish, but the sashing took as long to finish as the rest of the quilt – I used rulers for the cable and square quilting, but did the feathers and swirls freehand. I was trying to get it perfect, but, really, there’s no such thing as perfect. What do you think? 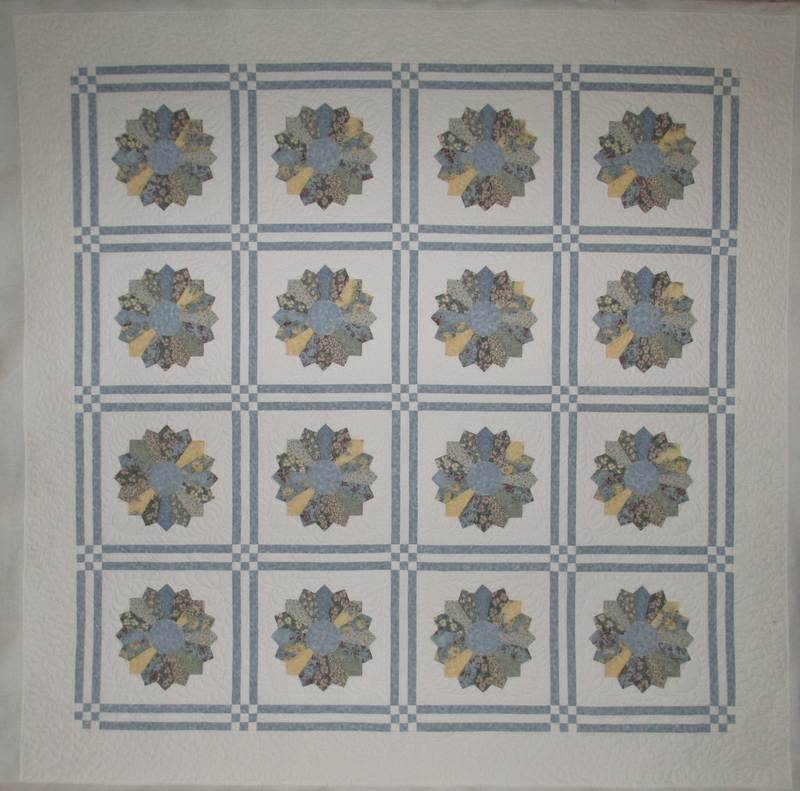 Does the quilting design compliment the quilt itself? Love. LOVE. LOVE! Perfect treatment for this quilt! Thank you Tammy and Tina! This is one of the prettiest quilts I have ever seen! Thank you for posting this.